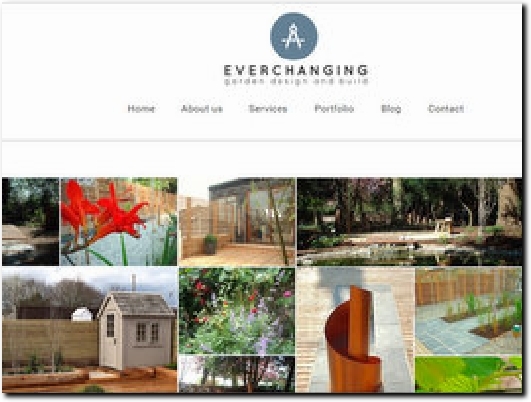 Everchanging Garden design Hertfordshire is an award winning Garden Design and build company based in Hertfordshire. Serving North London and Herts. Tim, our award winning designer who has broadcast on both The BBC and ITV. Hertfordshire-based garden design company offering a complete design and build service. The Services page shows the other services on offer, while Portfolio has photos of completed projects. The About Us page has information on the process, from initial consultation to construction. The Contact page has the business postal address, phone number, e-mail address and an enquiry form.